[PDF] The South African Gandhi: Stretcher-Bearer of Empire (South Asia in Motion) | Free eBooks Download - EBOOKEE! Description: In the pantheon of freedom fighters, Mohandas Karamchand Gandhi has pride of place. His fame and influence extend far beyond India and are nowhere more significant than in South Africa. "India gave us a Mohandas, we gave them a Mahatma," goes a popular South African refrain. Contemporary South African leaders, including Mandela, have consistently lauded him as being part of the epic battle to defeat the racist white regime. 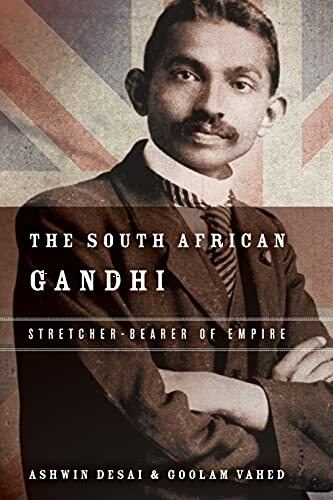 The South African Gandhi focuses on Gandhi's first leadership experiences and the complicated man they revealâ€”a man who actually supported the British Empire. Ashwin Desai and Goolam Vahed unveil a man who, throughout his stay on African soil, stayed true to Empire while showing a disdain for Africans. For Gandhi, whites and Indians were bonded by an Aryan bloodline that had no place for the African. Gandhi's racism was matched by his class prejudice towards the Indian indentured. He persistently claimed that they were ignorant and needed his leadership, and he wrote their resistances and compromises in surviving a brutal labor regime out of history. The South African Gandhi writes the indentured and working class back into history. The authors show that Gandhi never missed an opportunity to show his loyalty to Empire, with a particular penchant for war as a means to do so. He served as an Empire stretcher-bearer in the Boer War while the British occupied South Africa, he demanded guns in the aftermath of the Bhambatha Rebellion, and he toured the villages of India during the First World War as recruiter for the Imperial army. This meticulously researched book punctures the dominant narrative of Gandhi and uncovers an ambiguous figure whose time on African soil was marked by a desire to seek the integration of Indians, minus many basic rights, into the white body politic while simultaneously excluding Africans from his moral compass and political ideals. No comments for "[PDF] The South African Gandhi: Stretcher-Bearer of Empire (South Asia in Motion)".